NC Quarter Midget Association is a non-profit racing club with a track near Salisbury, NC. Founded by Bobby Labonte in 2004, NCQMA promotes racing for kids 5-16 years old teaching safety, good sportsmanship, and fun! 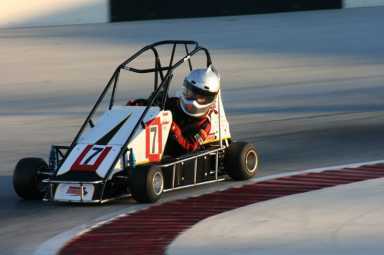 The Quarter Midget Association is a family oriented sport that involves racing in special prepared cars. The cars, rules and safety procedures are designed specifically for kids. They race on oval tracks approximately 1/20 of a mile.